Valentine’s Day has come and gone, but it’s still a great time to find new ways to love and support your partner. After all, being in a relationship isn’t just about roses and heart-shaped chocolates; it’s about you and your significant other providing one another with love and support, whether times be easy or difficult. 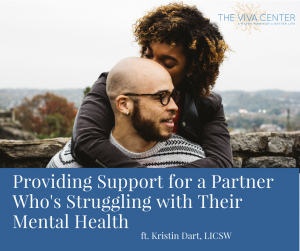 To support individuals whose significant others are dealing with mental health concerns, the Viva Center’s Kristin Dart, LICSW offers the following tips for aiding one another and strengthening your bond. If you’re dating someone whose coping with a mental health issue, it’s crucial to educate yourself about whatever is affecting them, be it depression, anxiety, schizophrenia, or something totally different. Last Thursday, your partner had a panic attack when you came up behind him and hugged him. Initially, you might have blamed yourself for being “stupid” or a “bad person” and “causing this to happen,” but now that you know more about PTSD and triggers, so you know that people who’ve been through trauma sometimes have strong reactions to stimuli that reminds them of the traumatic event. You know you were not a bad person for inadvertently triggering them, and the two of you can discuss which types of touch feel safe so that you can avoid a similar experience going forward. You threw a birthday party for your significant other, but they didn’t seem to enjoy it at all. At first, you might think that your idea was terrible and that you’re not a good partner, but after learning more about depression, it becomes clear that your partner was experiencing “dysthymia,” or the inability to feel joy. Your gesture was sweet, and your partner wasn’t being ungrateful—depression just stood in the way of the reaction you’d hoped for. It can be helpful for partners to speak with others who have experienced similar problems in their relationships as a form of receiving guidance. There are myriad online and in-person support groups you can join to connect with others, express your own feelings, and discover new coping strategies. Note that the onus is not just on you—your partner can also learn a lot about their own feelings and reactions by researching the issue they’re dealing with. While reading up on your partner’s concern is a great starting point, don’t stop there. No issue affects all people in the exact same way—for example, one person’s anxiety may totally overwhelm them and cause them to and underperform in school, work, or relationships, while another’s may lead them to overperform as a way of “preventing bad things from happening.” Talking to your partner and figuring out how they’re feeling is a good way to understand how a mental disorder may be affecting them individually. Dart recommends directly asking what your partner needs from you. “Ask them, ‘Okay so when you’re feeling this way…what can I do as your partner to support you?” They know themselves better than any textbook ever will, so their feedback is crucial. Dart highly encourages couples coping with mental illness to seek relationship counseling. Couples’ therapy can help strengthen communication skills between partners so that both may develop a deeper understanding of what the other is experiencing. 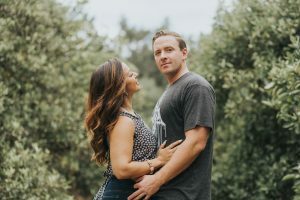 Therapists who work with couples are trained in picking up on the stresses and concerns of both parties, and may be able to recognize unhealthy behavioral patterns (or positive coping methods) that you’re unaware of. Dart also recommends individual therapy, which can have positive effects whether or not you’re the person coping with mental illness. “Therapy is a place where you can understand more about yourself and what you’re able and willing to be a part of, and what’s healthy for you,” Dart says. This is important information for all of us to learn about ourselves, not just those of us with formal diagnoses. It’s important for both you and your partner that you care for your psychological health in addition to theirs. Your wellness matters, and a partner who loves you would never want you to sacrifice your well-being because you believe that doing so will help them (it won’t). “The core of how to support someone with a mental illness is trying to figure out what you need for your own self,” Dart says. Be mindful of how you’re feeling in the relationship both in terms of what makes you happy and what feels more uncomfortable. Communicating with your partner and/or therapist about these concerns can help you maintain your wellbeing. Finally, know that you’re not alone. 1 in 5 adults in the US experience mental illness each year; which means that there are hundreds of thousands of couples out there with these same concerns. If you’re looking for specific ideas about how to support your loved one, google local support groups or check out the free resources “For Allies” at the mental health hub, the Resilient Brain Project. As always, feel free to contact us at info@vivapartnership.com with any specific questions or concerns. Thank you for all the love you give. 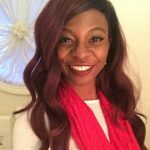 Cordilia James is a sophomore at American University studying Journalism and Creative Writing. She is the Style Editor for the university’s student newspaper “The Eagle,” often reporting on local events and culture. When she’s not catching up on the news or journaling, you can find her exploring D.C., streaming comedy series, and daydreaming of Waffle House.